A recliner can be a lot more than an overstuffed, levered behemoth that offers one upright position and one reclined position with a footrest. Some recliners look more like contemporary armchairs with no levers at all, while others are designed to save space as they recline. Consider which options are most important to you before shopping for a recliner to ensure it'll become the new best seat in the room. The two-position recliner is the classic version many people think of when hearing the term "recliner." This type is either upright, armchair style or reclined with a footrest that pops out upon reclining. A lever or mechanism on the side of the chair initiates the change in position. This type of recliner is generally less expensive than some fancier versions, but numerous style and upholstery options are available. Any store that sells recliners is likely to carry this type among its options. This type of recliner functions and looks like a two-position version with added rocking or gliding functionality when in the upright position. These are ideal for those with young children that fall asleep more readily when comforted in a gently moving chair. The extra mechanisms make this type of chair a little more expensive than the traditional recliner. As its name implies, a pushback recliner goes into lie-down mode by pushing back with your body while sitting in the chair – no lever required. This type of recliner looks most like a regular armchair because there isn't any extra hardware sticking out on the side. In many cases, you can't visibly notice that this type of chair reclines. It's ideal in a space where style is preferred over a room of matching furniture paired with one chair – a typical overstuffed recliner – that's obviously designed for comfort rather than looks. 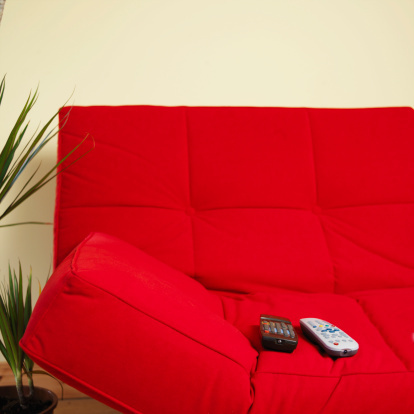 If space is an issue, a wall-saver recliner is an excellent option. The mechanics in this type of chair require only about 6 inches of space between the wall and recliner to achieve the fully reclined position. As a comparison, a standard recliner requires anywhere from 1 to 3 feet of space between the chair back and wall. The wall hugger or wall saver is sometimes more expensive than a similar traditional recliner. Some recliners are operated by electricity instead, allowing the user to push a button to achieve the desired chair position instead of using their own strength to do so. Generally, these offer more positions than the traditional recliner. Some may even offer USB outlets for portable devices, such as phones and tablets. Other powered recliners function much like adjustable beds, allowing you to push the button and release it when the chair reaches the desired angle. Still, some models may offer various massage options for the headrest, lumbar support and other areas. The lift chair, as its name implies, leans forward gradually to help lift its occupant into standing position. This chair is designed for someone who may have trouble getting into and out of a chair on their own. As with other powered recliners, these are far more expensive than a basic recliner. Powered recliners also require a nearby wall outlet, ideally located behind the chair.